What is the slow-motion video booth? The Slow-Motion Video Booth adds an one-of-a-kind, exciting dimension to any private event. Slow-motion videos are a great keepsake because of the fun people have making them and the hilarious final animation that plays on screen. The open-air service lets passersby catch a glimpse of the excitement and causes them to jump in line for a turn. People love sharing their crazy videos with family and friends, leaving your event fresh in the minds of all your party-goers. 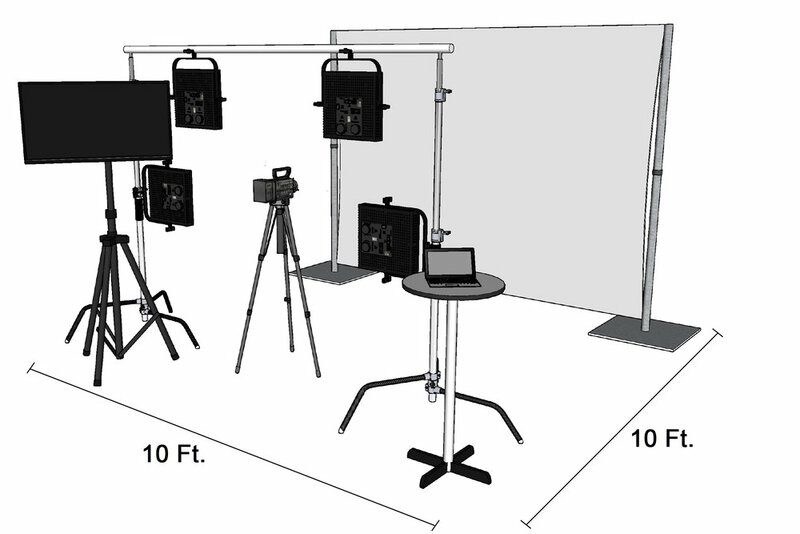 How does the slow-motion video booth work? Guests ready themselves in front of a video camera equipped with professional LED lighting. Guided by our onsite staff, the participants begin their performance until staff marks the end of the recording. Soon after, the slow-motion video plays before their eyes on the 43” display so they can all laugh and high-five at their creation. The huge display allows gathered crowds to enjoy the video as well, participating in the excitement. As an awesome takeaway, guests email or text themselves the short video so they can share across their social media. After the event, we send you a Dropbox link that includes all of the videos! how to customize the slow-motion video booth? The videos can be stamped with a personal logo or watermark -- a reminder of who provided this awesome experience. You can design the watermark or we can take your ideas and do it for you! In addition, you can choose a custom backdrop with a logo, image, or messaging to highlight your theme. The SloMo Booth requires an 10’ by 10’ area with an 8’ clearance, a high top table with linens, and access to two 3-hole outlets that provide 15amps.